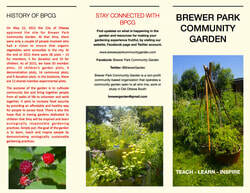 The Brewer Park Community Garden's guide to building a raised garden plot is available as a free download. 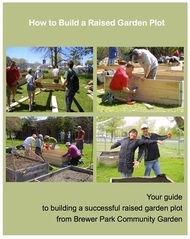 Written by Alison Duncan in consultation with Guy Souliere, it is a photo illustrated step-by-step guide to building a successful raised garden plot. and functions on a day to day basis. An overview of what the community garden is all about. 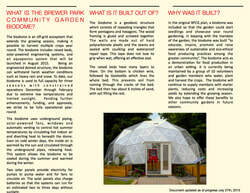 A summary of the community garden's biodome garden.